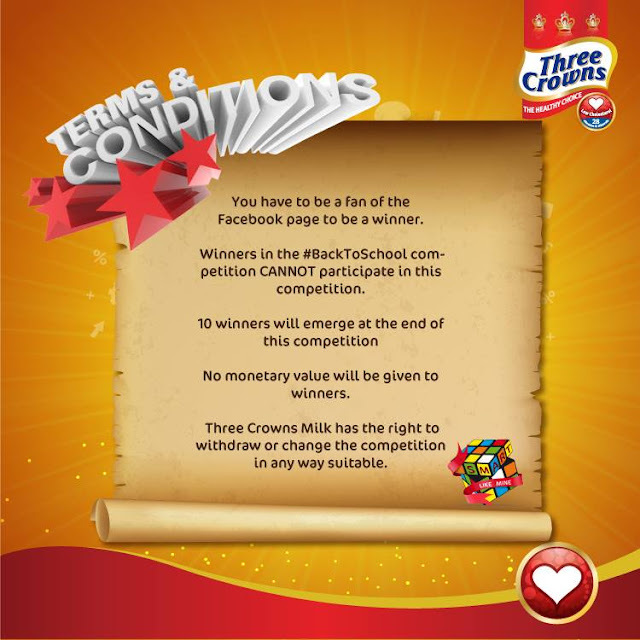 @3CrownsMilk #SmartLikeMine Conpetition. Win a Macbook, Ipad, Iphone 6. Our #SmartLikeMine Competition starts today! Want to be one of our 10 winners? Then get ready for the first question! But First, here are the rules! Think you are smart? Then this competition is just for you. The #SmartLikeMine Competition is for 10 days. Questions will be uploaded each day on our facebook page. At the end of the competition, winners will compete against each other for the grand PRIZE!! !